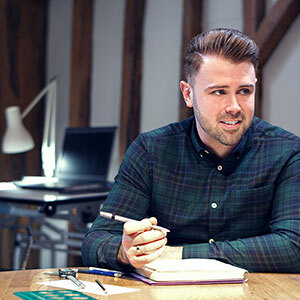 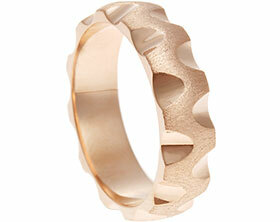 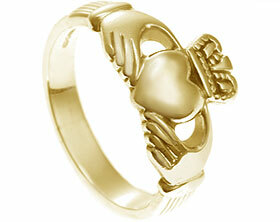 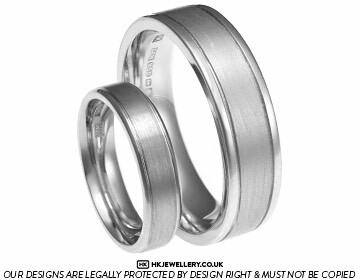 Matt and Michelle came to the Cambridge studio to design their wedding rings. 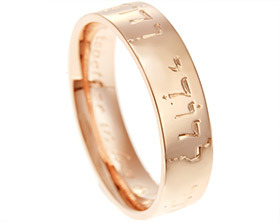 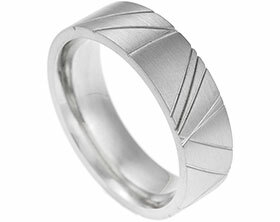 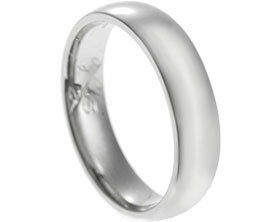 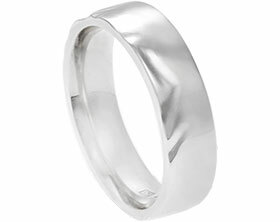 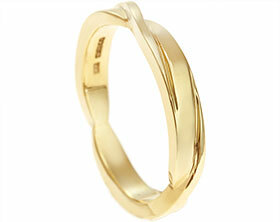 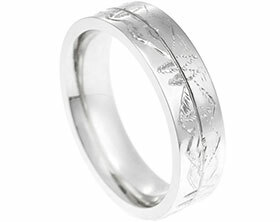 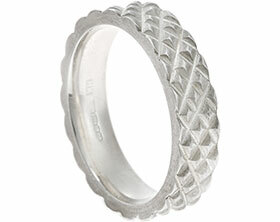 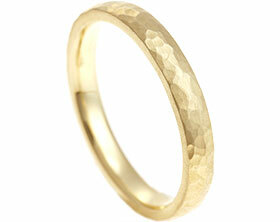 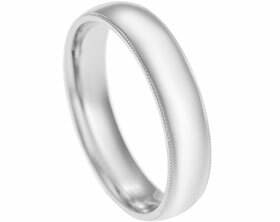 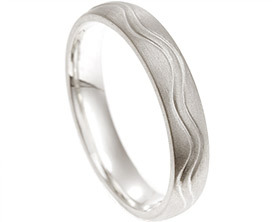 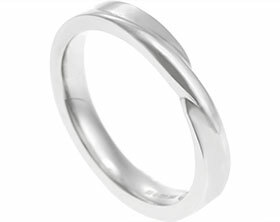 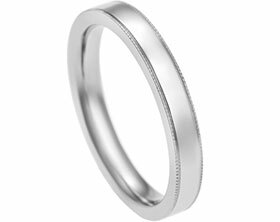 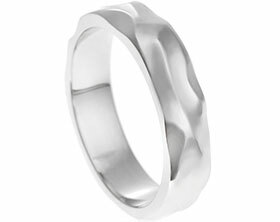 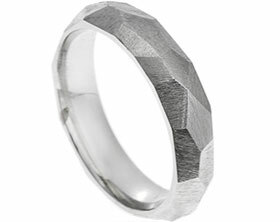 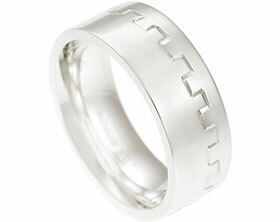 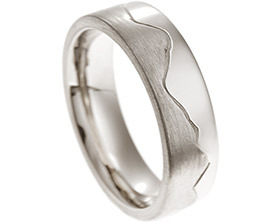 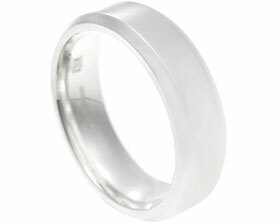 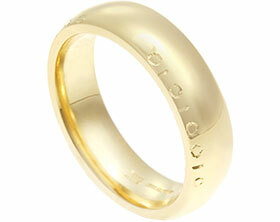 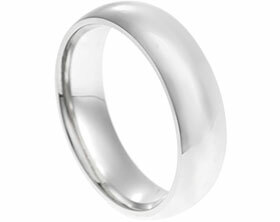 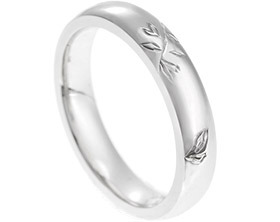 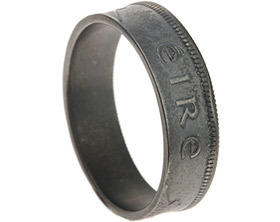 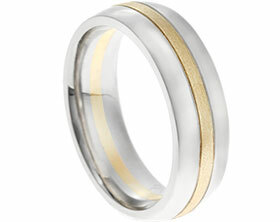 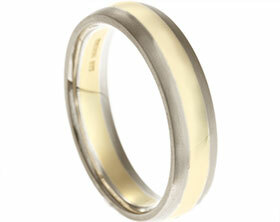 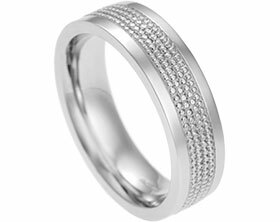 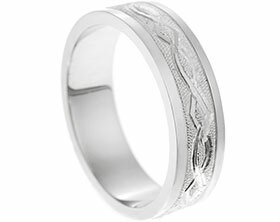 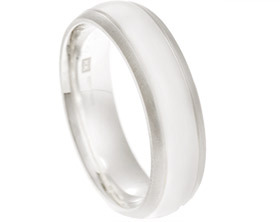 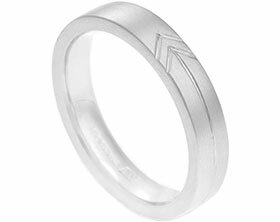 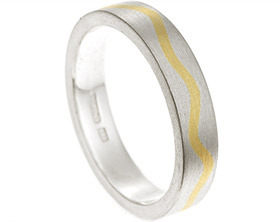 Matts 6mm wide palladium wedding ring has two engraved lines separating satinised and polished finishes. 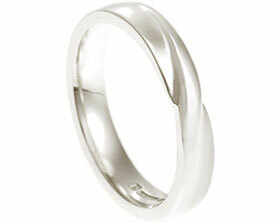 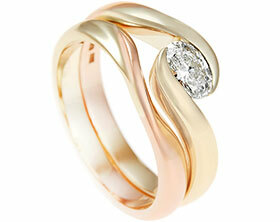 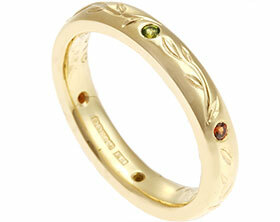 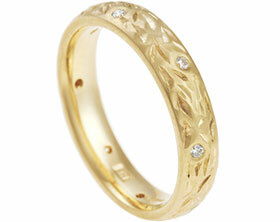 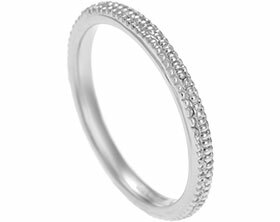 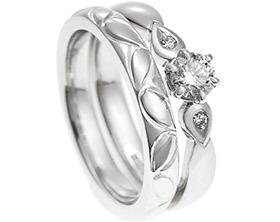 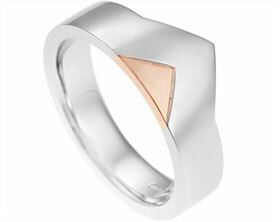 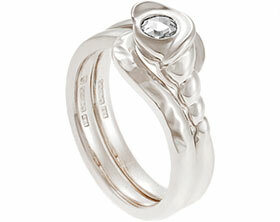 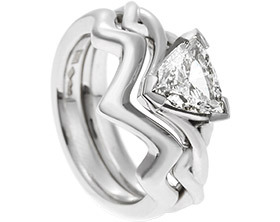 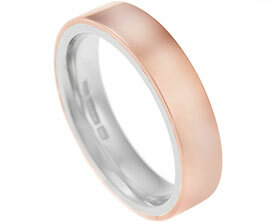 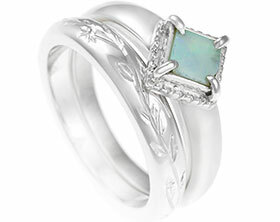 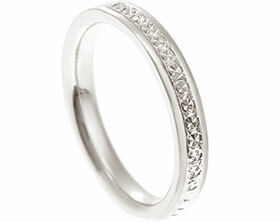 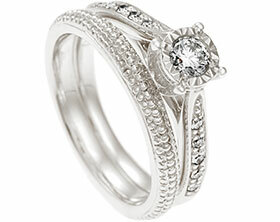 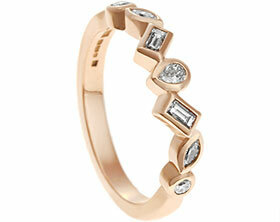 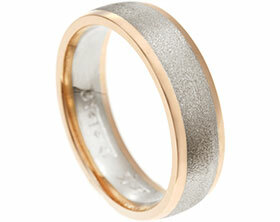 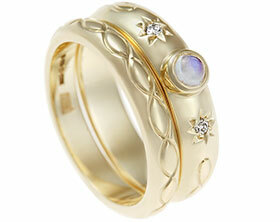 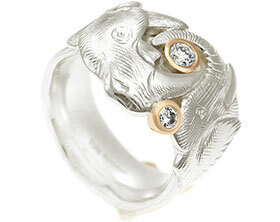 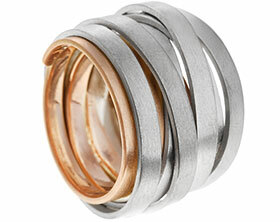 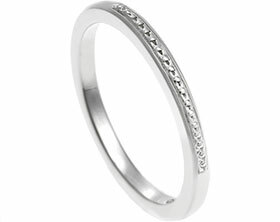 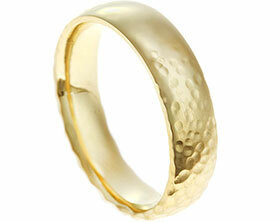 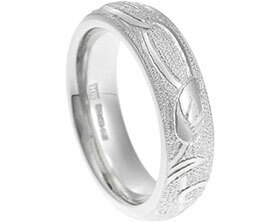 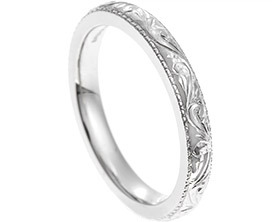 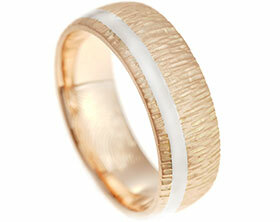 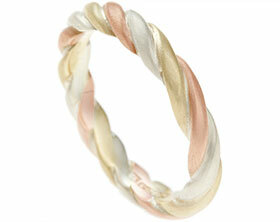 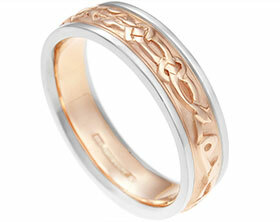 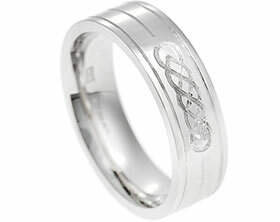 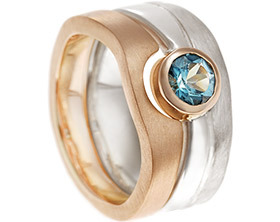 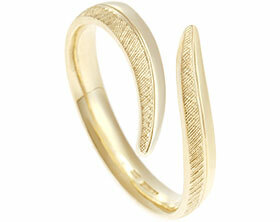 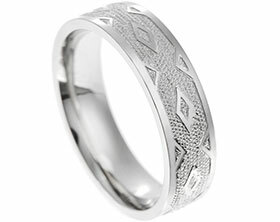 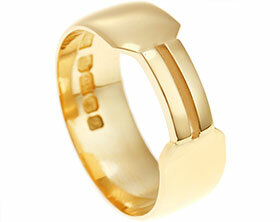 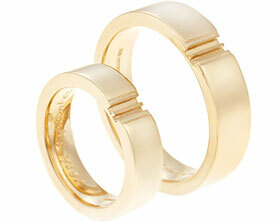 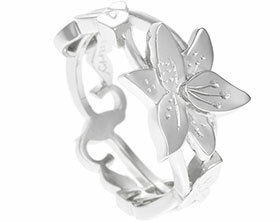 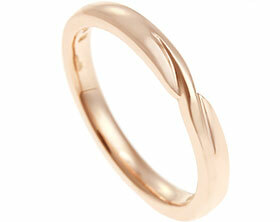 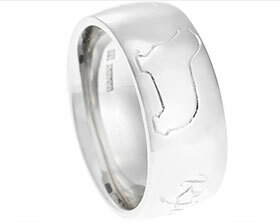 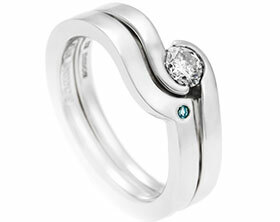 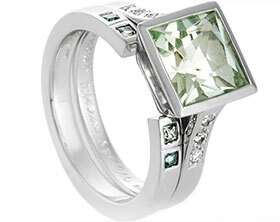 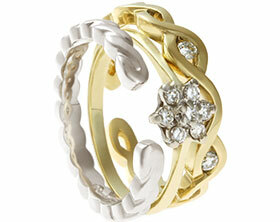 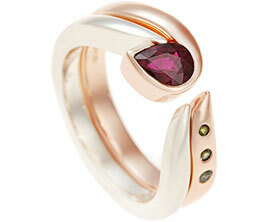 Michelles 4mm wide 18ct white gold wedding ring has been designed to match Matt's wedding ring design.